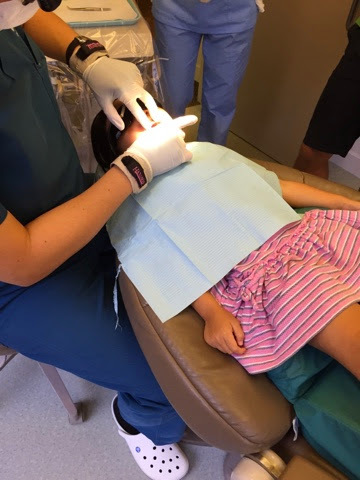 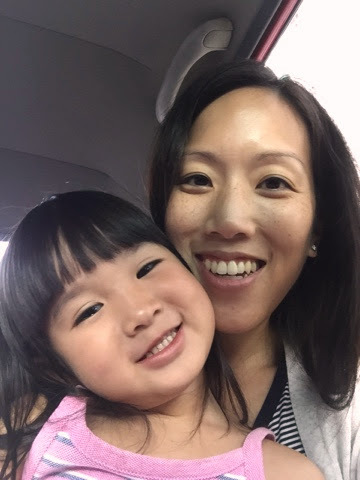 This weekend, Lauren had her first experience at the dentist. 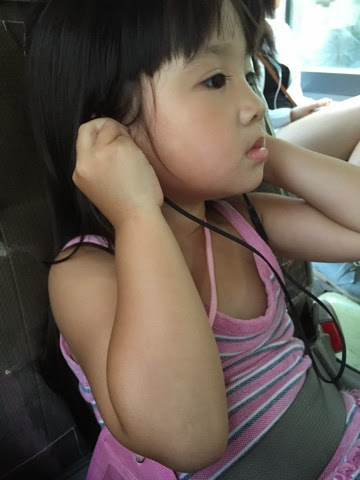 Lauren taking her music seriously on the minibus on our way to the dentist. 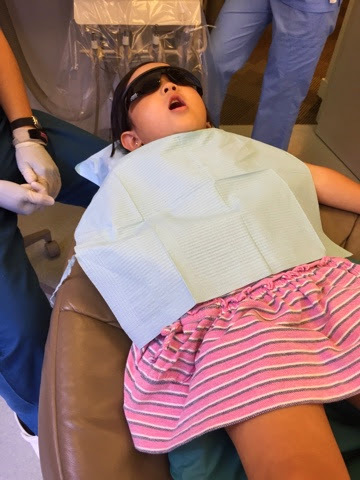 Lauren with her shades on and opening her mouth for the dentist to examine her teeth. 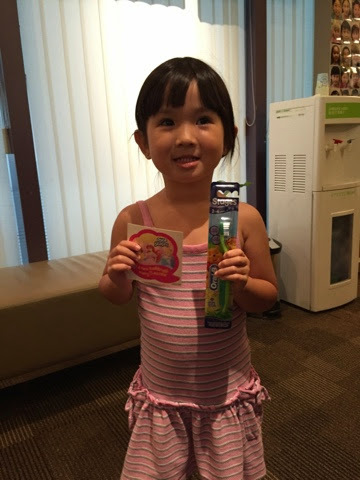 Lauren receiving some gifts from the dentist.